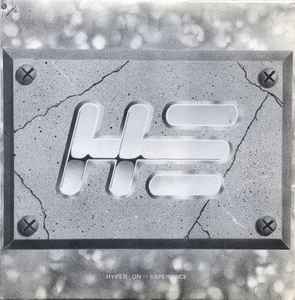 Hyper On Experience ‎– Fun For All The Family E.P. "We wanted to write a big piano tune like the ones we were hearing at Raves. We had the piano riff and all the beats sorted, but no vocal. We bought a vocal sample CD in the hope that it had a useable sample. The first track on the CD had the vocal we used and every other sample was crap! I couldn’t believe how well the male vocal sounded and it slotted in the tunes just fine. We then played it out live that night, I think! The piano was a Korg M1 preset , loads of people used this. The knocky round bass note was also a staple sound for Rave at that time and is made by distorting a 303 with a fast decay filter envelope, but we sampled it of a record. The gritty synth stab phase effect was made by layering the same sample in a keygroup on the Akai s1000 and altering the pitch of one of the samples a very small amount. This made the waveforms move out of alignment over time - phase effect. There is a synth break towards the end of the song that seems heavily influenced by the group N-Joi. They were a big influence, but I’ll chat about influences in another post." Notes on creation of "The Frightner". "We had some new samples we were itching to play with and started with that low booming sound (from Pete Gleadall’s sample CD) and the acid synth sampled from Breakers Revenge by Arthur Baker. The whole track seemed to fall into place without us trying. From start to finish it took 6 hours. At the end of the night, when we played the final tune back, I had a moment. I couldn’t believe we had made a tune like that so quickly, and I became uneasy to point where I had a panic attack. Perhaps Danny felt the same, and as we shuffled about mumbling to ourselves Danny came up with the name: “The Frightner”. Notes on creation of "Another Rave"
"I can’t remember how we came up with the name. The lead stab was made by layering many sounds in the Akai. I remember it wasn't tuned to “C” and to get the pattern I used a lot of black keys! Also, Rob Playford chose to alter the arrangement and did this in a rather smug way that annoyed me. He explained as he altered the sequencer that : “This is called arrangement”. Yes mate, I knew that, thanks. I had a tape from a Rave Pack where this tunes was played and the MC chanted “Every day’s my birthday!”. Its mostly sample with the SH101 following the lead in the 4th and 5th breakdown. 4th and 5th breakdown! You don’t hear that in tune descriptions nowadays!! Yup the frightener is seriously dark and creepy - makes my hairs stand up!